The premium quality self adhesive wall tile that is easy to install. Just peel and stick! The DIY peel and stick tile concept of Tic Tac Tiles is made possible through Tic Tac Technology that makes the product very easy to cut, stick and maintain. Tic Tac Tiles can be installed in minutes without any specialized tools over any sleek and clean surface. 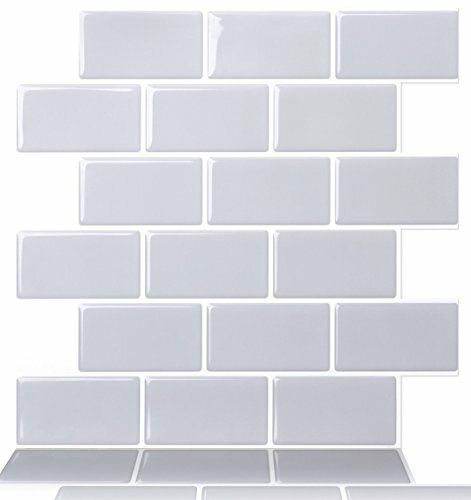 Tic Tac Tiles can be used to renovate kitchens (for example, back splashes) and bathrooms. Tic Tac Tiles are resistant to the humidity of bathrooms and the heat of ranges once it is installed. It can be removed by simply heating the surface with a hairdryer and peeling it off. Our high quality tiles make your renovation a lot easier! Sticks To Clean & Sleek Surfaces, No grout needed! If you have any questions about this product by Tic Tac Tiles, contact us by completing and submitting the form below. If you are looking for a specif part number, please include it with your message.